My goodness, another week of "unseasonably cold weather", or as I like to call it " "unreasonable cold weather". For those of us in the north land that translates into suffering freezing temperatures all week. The forecast for next week may be more of the same. It is tedious to those folks that have to cover their tomato plants and flowers that were planted in an optimistic moment, but at REGI freezing temperatures mean all of our baby birds still have to some inside every night. 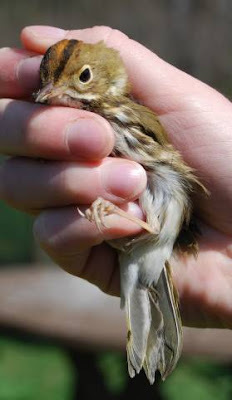 Wild birds have their babies out with them, but have the advantage of not being raising in incubators. They are therefore more climate prepared than those raised at REGI. We have to step down the temperature gradually so their bodies can cope. Having said that, I suspect many species will have poor reproductive success this year due to the "unseasonable temperatures. 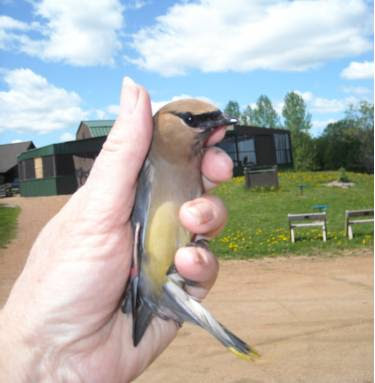 It will be interesting to see how the bird counts go in the fall. 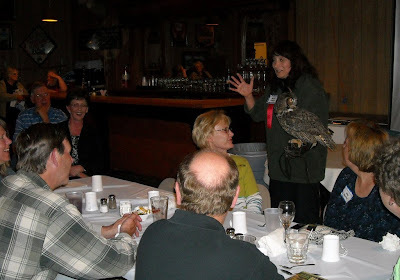 I was honored to be the guest speaker for the Washington Island Birding Festival Dinner this past weekend. The topic of the evening presentation was Wild Owls of Wisconsin. I brought with me four owl species native to Wisconsin. 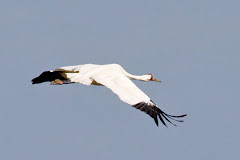 It is interesting for birders to see up close and personal some of the birds they often only hear or catch sight of as a fleeting glance. I had to laugh as my education birds are so well known they are often greeted by the audience as old friends. So many wonderful people attended. We talked on for hours even after the presentation. What a terrific group it was. Many thanks to organizer Sandy -Ursula Petersen for inviting me. The Wood Duck census is growing here at REGI. 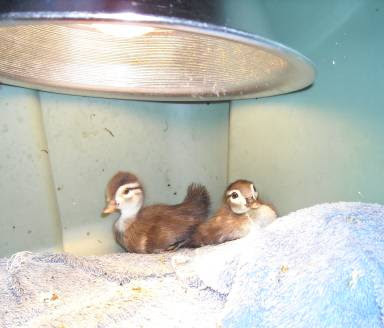 More tiny Wood Duck ducklings have been admitted. They are such tiny and fragile babies and will be able to join the older Wood Duck ducklings when they can tolerate life without a constant brooder and develop some size to prevent being picked on. They are eating LOTS of bloodworms and waxworms these days. We appreciate JADA Baits of Antigo so much for providing our patients with waxworms. Hearing our pleading voices on their answer machine cannot be easy. We continued to have Internet connection problems this past week, but as of yesterday that appears to be a thing of the past. We will be able to update the Blog consistently now. I thank those of you that have written to me missing our daily updates. It is great to know we are missed! That is all for now. Have a great day everyone. Ours will be busy with two patients have been admitted already this morning and it is only 6:30 A.M.